With SBI’s SparQ™ Cumate Switch System, you can get inducible gene expression in mammalian cells with a range of cloning and expression lentivectors. 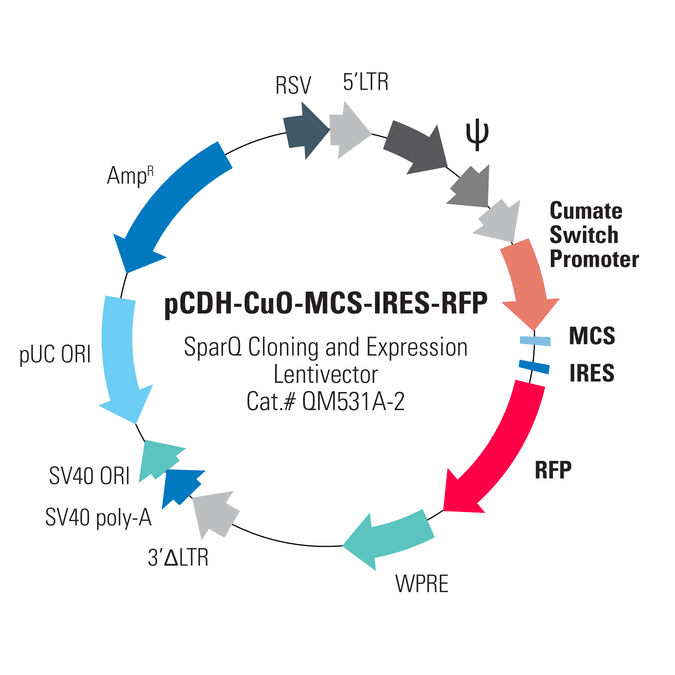 The pCDH-CuO-MCS-IRES-RFP SparQ Cloning and Expression Lentivector (Cat.# QM531A-2) co-expresses both your gene- or miRNA-of-interest and the RFP marker from the inducible cumate switch promoter, enabling measurement of induction by RFP fluorescence. Co-expression is mediated by an IRES element.